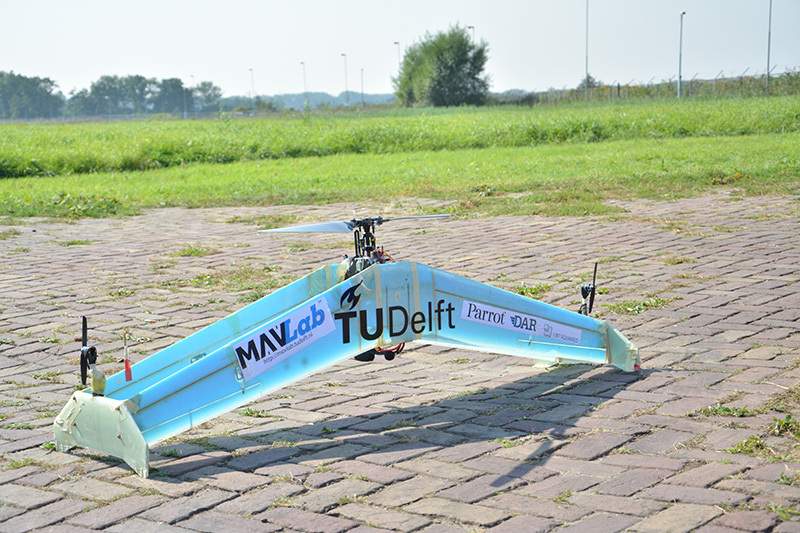 SI CHIAMA DELFTACOPTER ED E’ STATO PROGETTATO PRESSO LA TU DELFT, UNIVERSITA’ TECNICA DELL’OMONIMA CITTADINA OLANDESE. RAGGIUNGE LA VELOCITA’ DI 100KM ORARI, COME UN DRONE AD ALI FISSE, E ALLO STESSO TEMPO E’ CAPACE DI ATTERRAGGI PRECISI COME I DRONI CON LE ELICHE CHE PUOI COMPRARTI SU AMAZON. CHISSA’ SE ALMENO LO PUOI USARE PER SURFARE.